Password management, what are my options? Everyone uses password and codes to verify identifications, withdraw money, or access websites. Some people feel much more secure with too complicated passwords and sometimes they find it hard to remember. Therefore, one of the best ways to keep your passwords secure is by using a password manager. Not just a password manager, but a good password manager that has garnered a good reputation offline and online. According to schneier.com, jotting down your password on a paper has been a better option for years. You only need to secure a small piece of paper, write down your password and keep it between valuable pieces of paper, present in your pocket. However, this might a good option, but not the best option. In fact, there are companies that forbid their employees from writing down their computer passwords and access codes to private areas at their workplaces such as the sever room on a piece of paper. Most home users prefer storing passwords in smart mobile devises such as laptops and phones. This choice is ideal for people living with kids, thus granting the ‘writing password on a paper’ method eligible. However, online tool have their own set of pros and cons. It doesn’t really matter, even if you choose your laptop, phone or any other mobile device, somebody can break into your house, and take the laptop or PC. Savvy cyber criminals can also have a remote access to your computer when you are online. It doesn’t matter what Linux password, windows or OS you use, for, a few minutes’ access to your PC, can get you screwed up just as explained in an article on howtogeek.com. Managing passwords in codes can be very secure not until it is hacked. 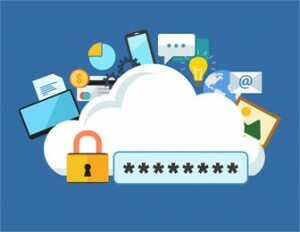 As stated in a report published in tomsguide.com, your passwords may be very secure, especially when they are under the umbrella of unbreakable encryptions. This entails choosing a password like KeePass, integrating it into your browser, which then stores it on their servers in order to sync the servers in every device you may install amplification on. The bottom line is; password management tools are the best for keeping your passwords safe. However, memorizing your password can be the best solution in case you are tired of the cons associated with password managers.